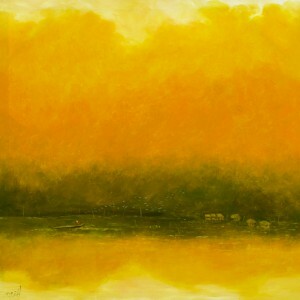 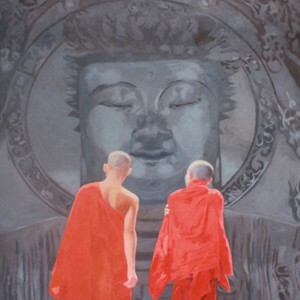 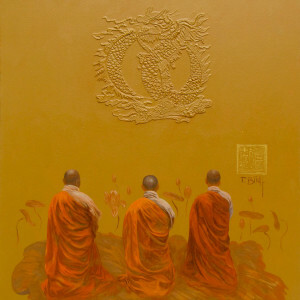 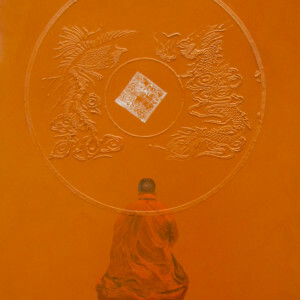 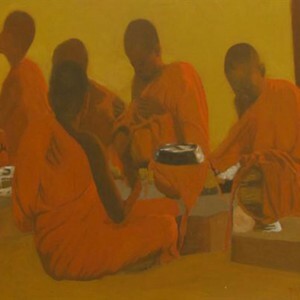 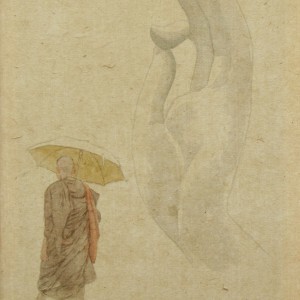 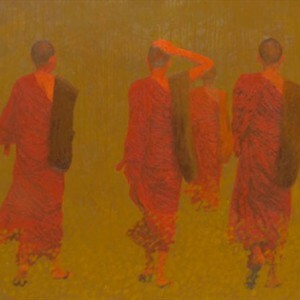 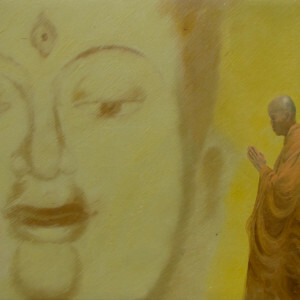 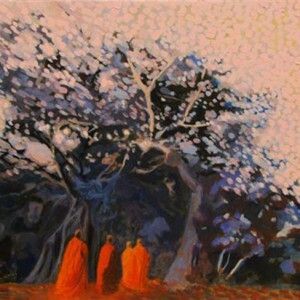 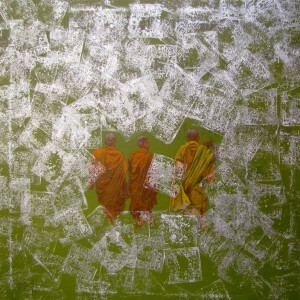 This is another exquisite painting by the renowned Asian artist Vu Thai Binh on his favourite Buddhist theme. 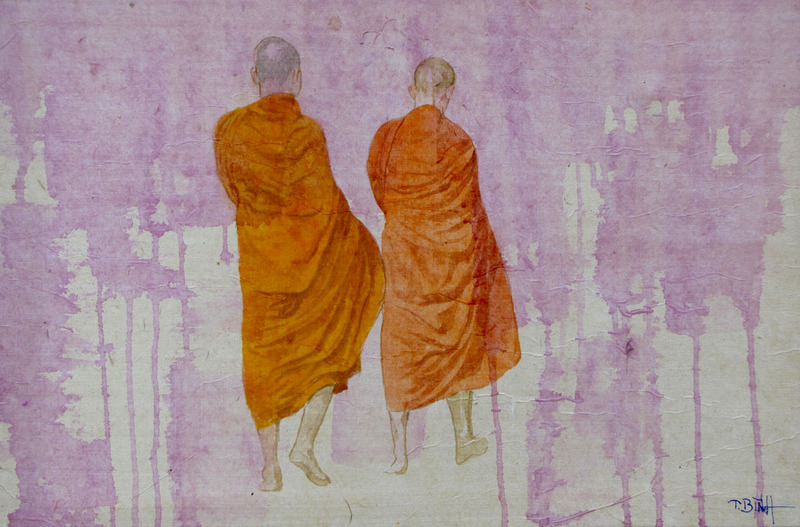 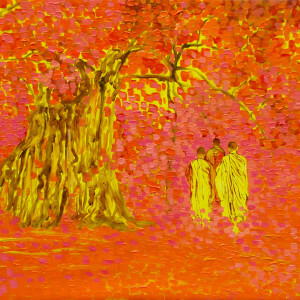 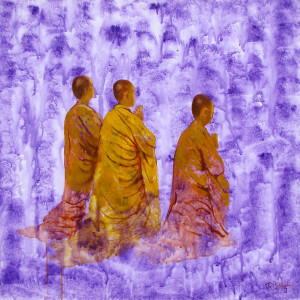 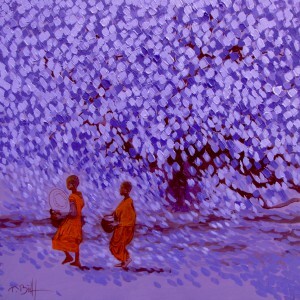 The forms of the saffron clad young monks against a backdrop of purple, is peaceful and reassuring. 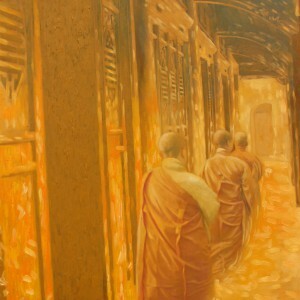 The monks have their faces turned away from the audience but that is no hindrance to visualize the faces steadfast on their path to salvation.